Below you fill find all funeral homes and cemeteries in or near Rigby. Suburbs of Rigby: Annis, Labelle, Lorenzo. Rigby is also known as: Jefferson County / Rigby city. Zip codes in the city: 83442. Jefferson County funeral flowers can be purchased from one of the local funeral shops we partner with. In 1938 Leo Williams founded Williams Funeral Home in Idaho Falls which was located at 555 E. St. in downtown Idaho Falls. Some of the notable people born here have been: (shayne m. bowen), (dennis lake), (brent hill (politician)), (larry wilson (american football)), and (h. rex lee). Rigby is a small city in and the county seat of Jefferson County, Idaho, United States. The population was 3,945 at the 2010 census, up from 2,998 in 2000.The larger "Rigby area" includes such outlying unincorporated communities as Annis, Garfield, Grant, Labelle, and Clark. 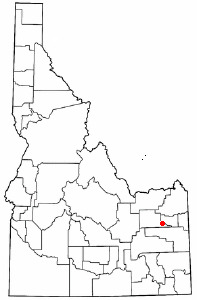 Other nearby incorporated areas within Jefferson County include Menan, Roberts, Lewisville, and Ririe.Rigby is part of the Idaho Falls Metropolitan Statistical Area, and is located directly between the two larger Idaho cities of Idaho Falls and Rexburg, providing its residents with a wide variety of shopping, entertainment and cultural choices. Many Rigby citizens commute to jobs in Rexburg or Idaho Falls, and a number of residents work for the federal government or federal contractors through the Idaho National Laboratory (INL), locally called "The Site". It was written by Coshocton Tribune on August 16th, 2018 that William "Kirk" Love died in West Lafayette, Ohio. Love was 66 years old and was born in Rigby, ID. Send flowers to express your sympathy and honor William "Kirk"'s life. It was reported by Tri-City Herald on May 9th, 2017 that Clarene J Colvard (Jones) passed on in Kennewick, Washington. Ms. Colvard was 83 years old and was born in Rigby, ID. Send flowers to express your sympathy and honor Clarene J's life. It was revealed by The Mail Tribune on April 30th, 2017 that Robert Charles Sharp perished in Eagle Point, Oregon. Sharp was 81 years old and was born in Rigby, ID. Send flowers to express your sorrow and honor Robert Charles's life. It was reported by Tri-City Herald on April 25th, 2017 that Ronnie Lewis Armstrong passed on in Kennewick, Washington. Armstrong was 79 years old and was born in Rigby, ID. Send flowers to express your sympathy and honor Ronnie Lewis's life. It was noted by The News Tribune on February 15th, 2017 that Wanitta Anderson (Erickson) perished in Tacoma, Washington. Ms. Anderson was 88 years old and was born in Rigby, ID. Send flowers to share your condolences and honor Wanitta's life. It was written by Tri-City Herald on October 6th, 2015 that Craig C Pabst passed away in Kennewick, Washington. Pabst was 55 years old and was born in Rigby, ID. Send flowers to express your sorrow and honor Craig C's life. It was revealed by Tri-City Herald on September 1st, 2015 that Elva "Merle" Reed (Evans) passed on in Pasco, Washington. Ms. Reed was 83 years old and was born in Rigby, ID. Send flowers to express your sympathy and honor Elva "Merle"'s life. It was noted by Yakima Herald-Republic on March 1st, 2015 that Jacky Lee Crawford (Morton) passed away in Washington. Send flowers to express your sympathy and honor Jacky Lee's life. It was disclosed by Yakima Herald-Republic on February 20th, 2015 that Jacky L Crawford perished in Yakima, Washington. Crawford was 58 years old and was born in Rigby, ID. Send flowers to express your sympathy and honor Jacky L's life. It was written by Tri-City Herald on December 18th, 2014 that Marguerite K Casey perished in Richland, Washington. Casey was 75 years old and was born in Rigby, ID. Send flowers to share your condolences and honor Marguerite K's life. Many Rigby citizens commute to jobs in Rexburg or Idaho Falls, and a number of residents work for the federal government or federal contractors through the Idaho National Laboratory INL, locally called "The Site". Rigby is a small city in and the county seat of Jefferson County, Idaho County, Idaho, United States. The larger "Rigby area" includes such outlying unincorporated communities as Annis, Garfield, Grant, Labelle, and Clark. Rigby is part of the Idaho Falls, Idaho Idaho Falls metropolitan area Statistical Area, and is located directly between the two larger Idaho cities of Rexburg, Idaho and Idaho Falls, Idaho Falls, providing its residents with a wide variety of shopping, entertainment and cultural choices. The Rigby area has seen recent population growth due to its residential taxes being less than that of Rexburg or Idaho Falls. Eckersell Funeral Home provides complete funeral services to the local community. Listing all funeral homes in Rigby, Idaho so you can easily send flowers to any location (same day delivery) or find any funeral service. Find BBB Accredited Funeral Directors near Rigby, ID - your guide to trusted Rigby, ID Funeral Directors, recommended and BBB Accredited businesses. We work with local florists and flower shops to offer same day delivery. You will find budget sympathy flowers in Rigby here. Our funeral flowers are cheap in price but not in value.